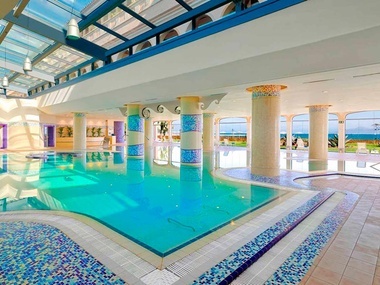 Take a tour of this spectacular facility featuring more than 3000m² dedicated to providing a perfect harmony of body and mind. Treat yourself to a journey of relaxation and wellbeing amidst the restorative bliss of the Bahia Vital Spa. Experience the latest treatments and technology in the world of health, wellness and beauty. 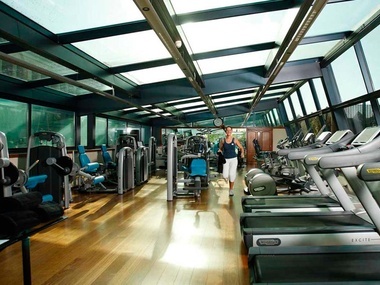 Improve your energy and fitness levels with cutting-edge facilities and a personalized training program just for you. **Minimum age for the entrance to Spa Bahía Vital is 16 years. The Spa Bahia Vital is a veritable temple of beauty, health and wellbeing where guests are pampered, achieving a perfect balance between body and mind. In the Bahia Vital Spa guests can enjoy a wide range of ‘him’ and ‘her’ treatments, carried out by our highly qualified, multilingual therapists. A truly relaxing experience entails complete harmony between your physical and emotional state. Enjoy our state of the art fitness facility featuring a wide range of equipment including cardiovascular and weight training to tone your body, improve your metabolism and boost energy levels.